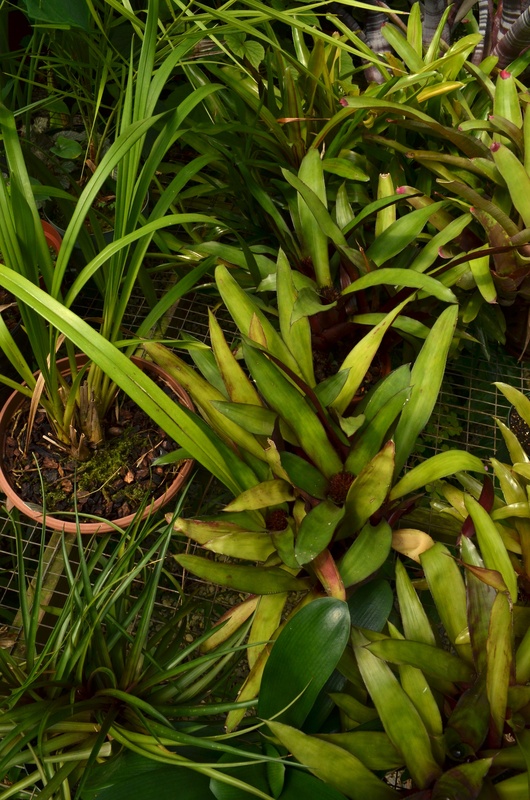 Bromeliads are in the Pineapple Family and include plants from the rainforest to deserts to the high Andes, even the Spanish Moss of the Gulf Coast. 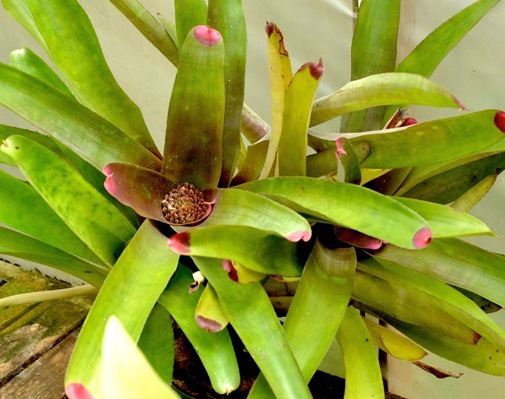 They are usually epiphytes (they grow on other plants, but are not parasites), and whole ecosystems can develop in their rosettes that capture and retain rainwater. They are very colorful and easy to grow.